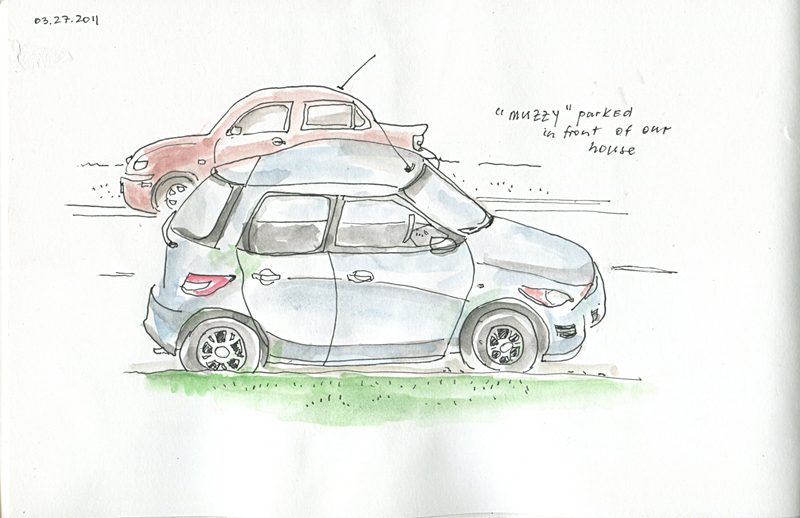 Muzzy is a nickname for my car, parked here in all of its splendor outside of my house. Can't wait for the "The allure of the Automobile" exhibit at the Portland Art Museum that opens this June at the Portland Art Museum. Not being a particular lover of motorized vehicles I find them fun to sketch.